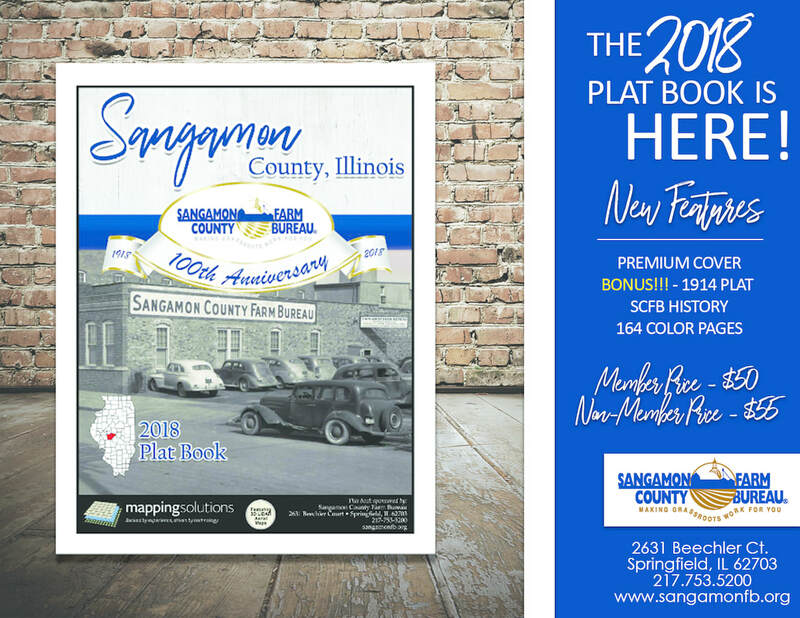 The new 2018 Sangamon County plat book is here! It is available at the Sangamon County Farm Bureau office for $50 (member price) and $55 (non-member price). In honor of the upcoming 100th Anniversary of the Sangamon County Farm Bureau the committee has enhanced the 2018 plat book to help celebrate this milestone. This book includes a 1914 aerial plat of each township, Sangamon County Farm Bureau history and a NEW premium cover. The 164 page spiral-bound book features township and range maps of Sangamon County. Contact the office by calling us at 217-753-5200 or filling out this contact form below. The Sangamon County Farm Bureau will be holding a drawing to give away a Premium Wall Map of Sangamon County, so please stop by the SCFB office to register for a chance to win!